Guitar Hero 2 was definitely a big hit on the previous generation of consoles (specifically the Xbox and PS2), but sometimes we just want to laze on a couch while going through the motions of Guitar Hero 2. Unfortunately, the full-sized guitar doesn’t allow you that luxury, which is why this XCM Mini Guitar enables you to do exactly that by coming in a palm-friendly size. The body is made from actual wood like a real guitar, so you don’t have to worry about cheap plastic parts. 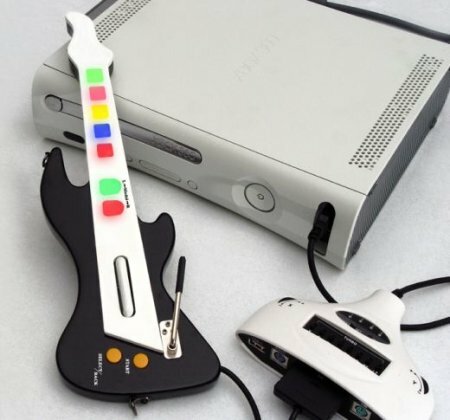 Additional features include a heavy duty metal whammy bar and buttons located along the guitar’s neck that light up.